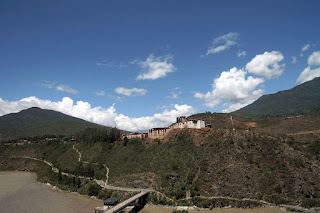 It's still hard to digest the fact that we have lost Wangdue Dzong during our time; the time when we have roads, mobile phones, fire engines and the time when we pride in having modern education and computer technology. Harder still is the fact that the Dzong withstood nearly 400 years in the hands of people who didn't wear shoes. Many fingers were pointed at this and that but everybody looked helpless in their own rightful corners. One fine day it dawn on me that perhaps we were really helpless. It wasn't in our humanly hand anymore. Now we have walked too long in shoes and too far from our shoe-less ancestors to fully understand where we went wrong. A Dzong is not just one huge structure a spark of fire could burn down. It's the living history, it's divine artwork, it's the storeroom of Bhutanese faith, and it's home to gods and deities. How could something like fire destroy something as great as Dzong? But when it does happen, when a spark of fire brings a dzong down, there are reasons beyond fire and accident. It's a sign! The sign could be interpreted in many ways depending on the depth of ones mind; Some might see it as a sign of something or so many things that already happened, while some will look at it as a sign of something that is going to happen. All interpretations are based on believes and therefore won't have solid evidences. 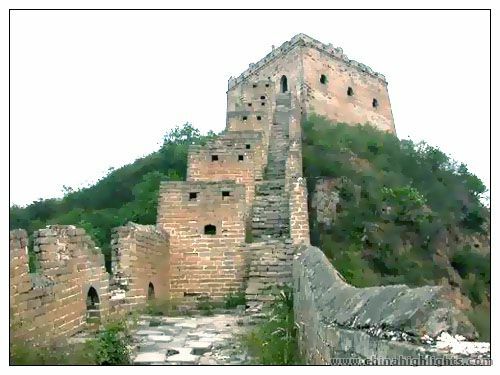 From where I am, with my ordinary eyes and ordinary depth of mind and without any solid evidences, the ruins of Wangdue Dzong looks to me like a small segment of The Great Wall of China. The more I tried to ignore the more it resembled that wall. What has China got to do with our Dzong the ruin of our Dzong? 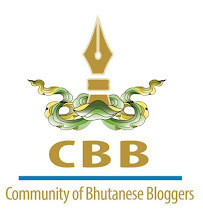 The only connection I saw was that our prime minister was in Rio, Brazil shaking hands with the Chinese prime minster when the Dzong was destroyed. Was that handshake so significant? Could the fire be a sign related to our friendship with China? Could it be reminding us of the Tibetan History? or Perhaps more importantly warning about our own future? I never thought of this relationship, could be that I am short in depth of thinking. I appreciate the way you relate the incidents so intricately. That could be, or may not be too. But the way you relate is showing some kind of relationship.